OLE Nepal prepared the action plan for the year of 2018. According to plan, Digital Literacy Project will be extended to 15 new schools in Darchula district that are supported by WFP’s FFE program. 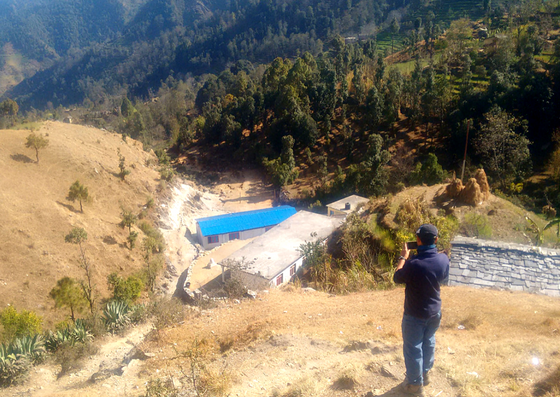 The program will follow the similar implementation process that was used in Bajhang, Baitadi and Doti schools starting with orientation to district and local level officials; school survey and selection; school orientation; power back-up or solar installation; furniture preparation and deployment, teachers training; laptop deployment and school network installation; technical and school residents support; and program monitoring. 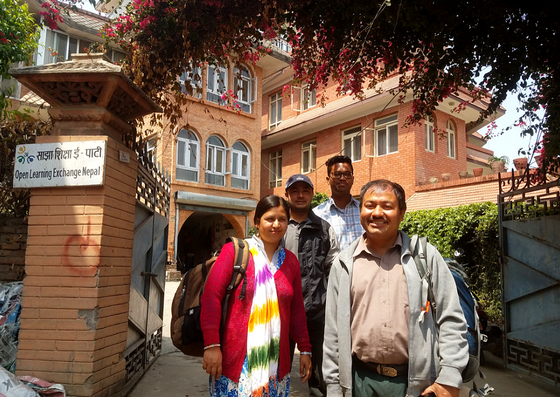 OLE Nepal’s team held a meeting with officials at Department of Education (DoE) on February 8 at DoE Sanothimi, Bhaktapur to share OLE Nepal’s program activities conducted last year (2017) and discuss plans for 2018. The meeting was chaired by Mr. Baburam Poudel, Director General of DoE. The attendees included the representatives from National Center for Education Development (NCED), Curriculum Development Center (CDC), and I/NGO coordination section. Mr. Tika Raj Karki presented the overall activities of OLE Nepal. He especially highlighted the program activities carried out in Far-western districts in cooperation with WFP, and program extension plan in Darchula. Following that, a discussion was held regarding the challenges encountered while implementing the programs such as lack of sufficient teachers and frequent transfer of teachers. Besides, we also discussed the further possible areas of collaboration with DoE’s departments in coming days. Mr. Bauddha Raj Niraula offered the involvement of NCED to design and develop our training package to make it more interactive. It was agreed that OLE Nepal will collaborate with the NCED on this matter. The meeting was concluded with remarks from the DG. He acknowledged the work of OLE Nepal and shared that DoE will always remain supportive in upcoming days. The orientation program for officials at district level (District Education Office) and local level (each in Mallikarjun, Duhu, Marma and Naugad Rural Municipality, and Shailya Shikhar Municipality) by our survey team was conducted before visiting to schools in February. During the program, our team briefly explained the program details and criteria for selection of schools. Our team shared the major criteria for laptop program with the officials — school should have school feeding program supported by WFP; school should have no possibility of merging with other schools in future; school should have one extra room for the set up of E-Paati lab, and school should have clear plan on sustaining the program beyond initial few years of support from OLE Nepal. The discussions also included possible areas of involvement of rural municipalities and municipalities in the laptop program. As some of the schools in the area are not connected to the electricity grid, the municipalities were asked to allocate funds for selected schools to purchase solar panels, while backup batteries will be provided to all schools under the laptop program. Overall, all the municipalities agreed that they will fully cooperate and provide support for the successful implementation of the program. Asst. DEO, Mr. Ram Dutta Bhatta, along with other officials at the District Education Office, newly elected local representatives (chief of each rural municipality), and executive officers were present at the meeting. 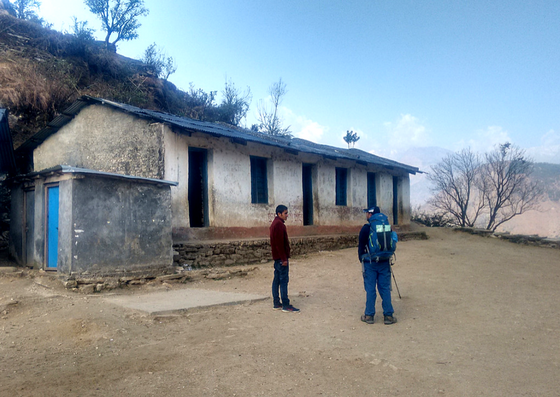 The school selection survey in Darchula was conducted by two teams, each consisting of two members, from February 19 till March 7, 2018. 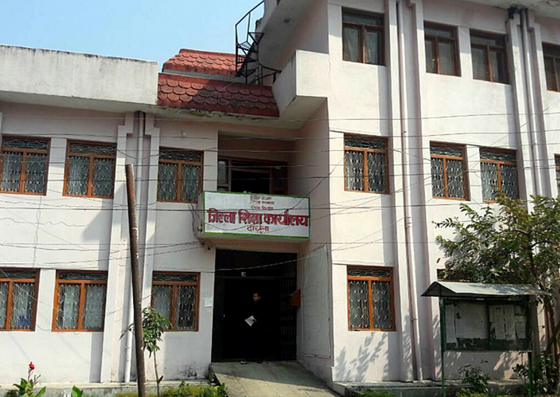 Before visiting to schools, the teams met with officials at the Food For Education (FFE) Office. 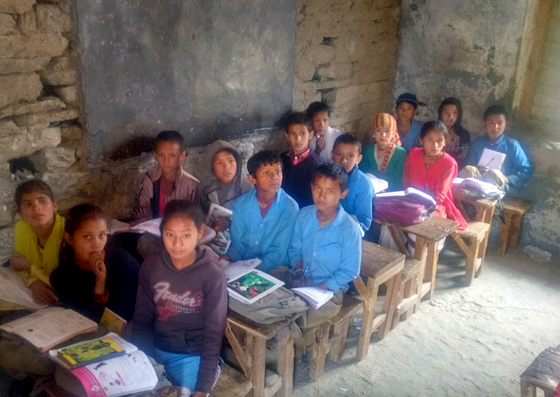 Based on the school data provided by Darchula DEO and FFE office, a total of 22 schools to visit were shortlisted. 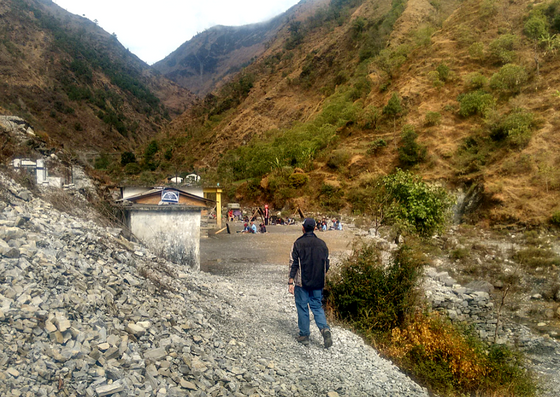 The two teams visited 4 schools in Duhu Rural Municipality, 2 schools in Naguad Rural Municipality, 4 schools in Malikarjun Rural Municipality, 2 schools in Shailya Shikhar Rural Municipality, and 10 schools in Marma Municipality. 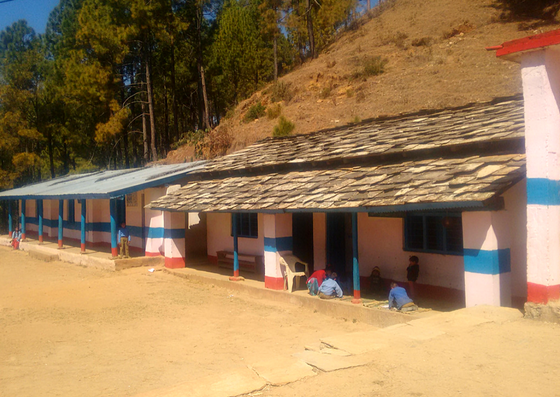 During the school visits, the teams assessed the physical infrastructure of the school, commitment of the teacher towards the program, and community involvement in the school activities. After the school visits, both teams discussed the findings and ranked the schools based on the observation. The teams then revisited the respective selected schools’ municipality offices to share their observations and finalise the schools, as local government is now responsible for recommending the program schools. 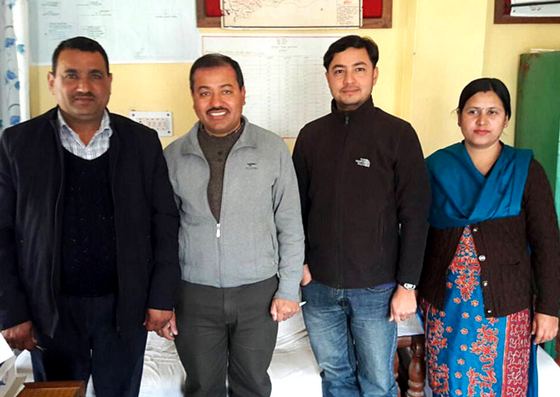 At the rural municipality offices, possible areas of collaboration for respective schools were discussed, and the officials assured that they will provide the support needed for the program. The following table refers to list of selected 12 schools in Darchula. After the selection of planned 12 schools, we found that the number of laptops required in the schools are below than our initial projection. 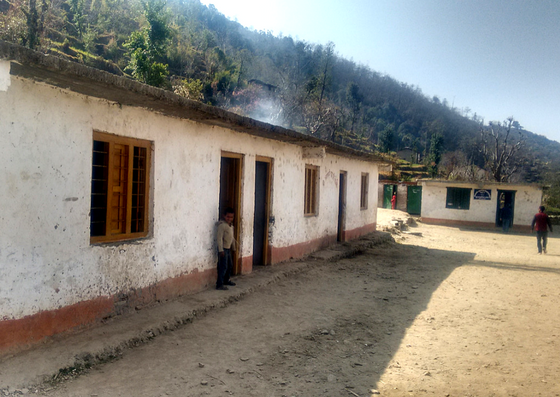 Hence, after consultation with WFP we are extending the laptop program to 3 more basic schools in Darchula, bringing the total number of new program schools to 15. The selection of the three additional schools was done through additional schools visits from April 2 – 10, 2018. The following table refers to the schools selected from the second survey.